Kibale Forest National Park is one of the best Parks to visit on your safari in Uganda for primate safaris and the mostly tracked primates in the Park are the chimpanzees. 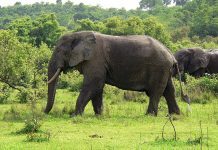 Kibale Forest National Park is found ideally in the heart of Toro kingdom in the western parts of Uganda near Fort Portal. It protects 13 primates including the localized red Colobus, L’Hoest’s monkeys and the endemic Uganda Mangabay. Chimpanzee tracking is the most famous activity in the Park and the Park is the best place for chimpanzee tracking in Uganda due to the high number of the chimpanzees it protects. Chimpanzees are the closest living creature compared to any other creature on earth however when you are in the Park for chimpanzee tracking, you will not be allowed to be too close to the primates and to stay long with them. For anyone to encounter primate safari in Kibale forest national park, you are advised to pay the chimpanzee permit at least three weeks before your tour and the permits are paid in advance. 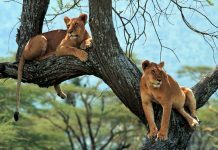 Permits are not simple to purchase especially for the tourists from abroad/far and these will be emphasized to use the best tour companies such as the Nature Adventure Africa Safari Limited which will buy the permits on their behalf. In Kibale Forest National Park, there are many good lodges and exclusive camps where primate trekkers will live in after every activity they will be performing while in the Park and these lodges include Mount Gahinga safari lodge, Mucha hotel, Travelers rest hotel, Amajambere iwacu community camp and Kisoro tourist hotel and all these lodges present a bar, a restaurant and a swimming where you will be taking your leisure time from after the tiresome chimpanzee tracking. All chimpanzee trekkers who wish to visit Kibale forests national park are advised to follow some tips before going in the Park for primate safaris and these include; you have to be physically fit because chimpanzee tracking is sometimes difficult to search the primates in the thick forests, flash light cameras are not allowed in the Park, you should be clean when carrying out the activity, a group of six individuals is allowed per day to carry out the activity, individuals from 12 years of age are only recommended to go for chimpanzee tracking. Chimpanzee trekking starts from Kanyanchu visitor centre at 08:00am and 02:00pm, you should be at least 1km from the chimpanzees while viewing them, for the toilet issues you will be advised to dig a hole in the forests but away from the primates and after you will bury it thoroughly well, you will be asked to be calm and maintain maximum silence while tracking the primates and all the activities you will perform in the Park you will be aided by the well train Park rangers/guides. While carrying out the chimpanzee tracking activity, you will be allowed to break for lunch time where you will go back to your lodge for lunch and you will then resume back to the Park. In the evening after chimpanzee tracking, you will go back to your lodge for supper and for the overnight and still at the lodge, you will be offered breakfast before going in for the chimpanzee tracking activity. 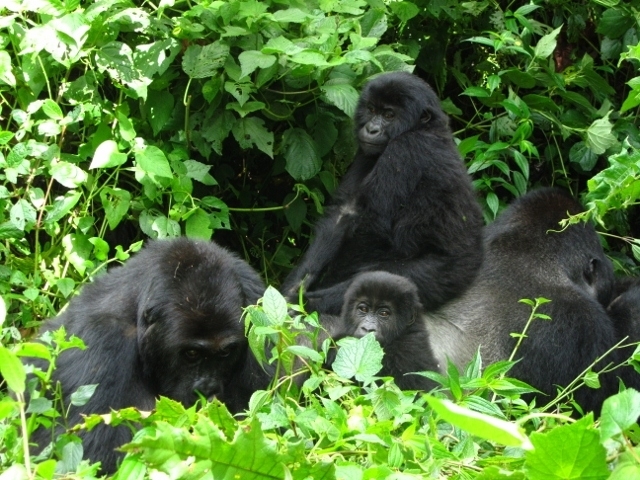 And after your primate safari in Kibale forest national park, you will be escorted by your tour company guide back to Kampala for a flight back to your home country.